Maryanne McCormack, Co-Founder of Visible Changes, Inc., has spent most of her life turning “Hair into Art”. She knew from a very young age that she wanted to become a hairdresser and help others feel good about themselves. After high school her dream became a reality when she opened her first hair salon in New York City. Hair became her life and she is well known within the industry as a charismatic, state-of-the-art leader. She has acquired numerous accolades for her talents and accomplishments. 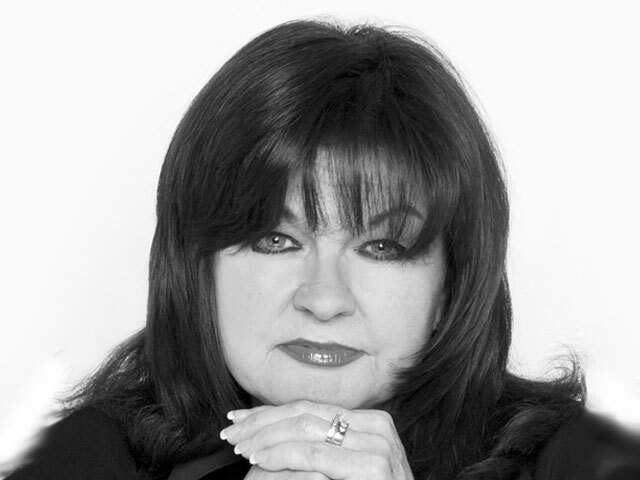 In 1977, Maryanne and her husband, John, decided to move to the State of Texas where they began Visible Changes and turned one salon into an empire within the beauty industry that has changed the lives of thousands of hairdressers and services nearly a million clients a year in Texas. In October of 2009, Maryanne was diagnosed with Breast Cancer. The words alone sent many into shock. She knew she had to begin her fight and she was not satisfied with winning a BATTLE; she wanted to win the WAR! Fortunately, she was living close to Houston’s prestigious Medical Center, the #1 Medical Center in the World. She began her treatments immediately and would sit in the infusion room with lots of time on her hands. She began to watch the people coming in for treatments. Many of them wore baseball caps to hide their bald heads, some wore turbans, while others just left their heads uncovered. It broke her heart to see so many women of all ages going through the same thing she was now facing and her entrepreneurial spirit kicked in gear. She thought to herself … “a woman’s glory is her hair and the crown that you never take off” and here she was in a room filled with woman who had no hair. She had to think of something that could make these women feel good about themselves and bring some joy to their lives. Since “Hair” is what Maryanne is all about, she decided that she could tackle the task of making sure that every cancer patient received the opportunity to “bring back the glory that belongs to a woman”. THAIR FOR YOU was born that day in an infusion room filled with women just seeking for solutions and praying to survive. Little did they know that they were the spark that brought the light to this program. 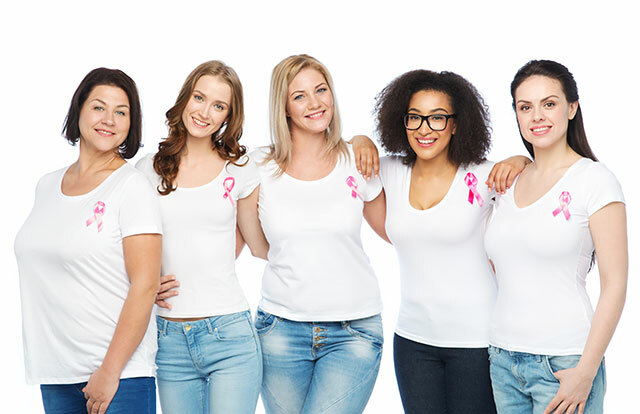 Visible Changes began giving away wigs in October of 2011 and because of the rapid growth of the program, THAIR FOR YOU became a 501(c)(3) non-profit organization in 2014. 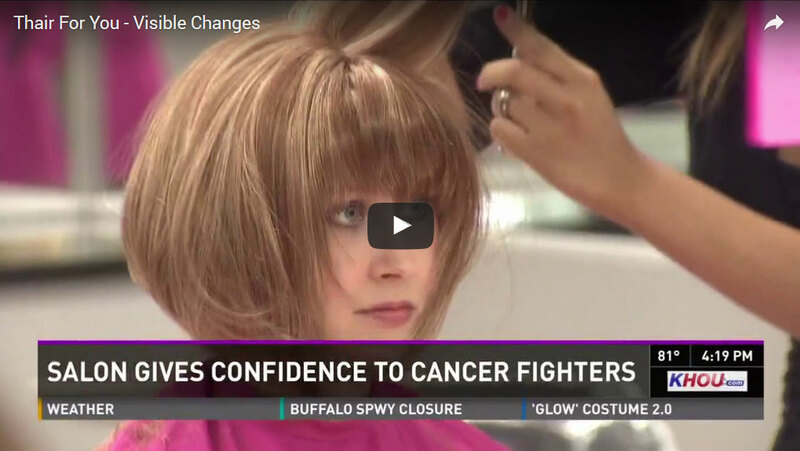 Today Visible Changes and THAIR FOR YOU are honored to support those battling cancer. Our Visible Changes collection of salons in Texas provides free, new, light and airy wigs. We consult and console beforehand, cut and style the wigs, and provide maintenance instructions to care for the wig. Our hope is that our new friend will walk out and hold her head up high. We are privileged to say we have been able to give away more than 4,000 wigs and our goal is to meet the needs of everyone who comes to us for this service. We are excited for each new day and want everyone to know that we are THAIR FOR YOU! Would you like to support our cause? Donate today! © 2019 Thair For You. All rights reserved.